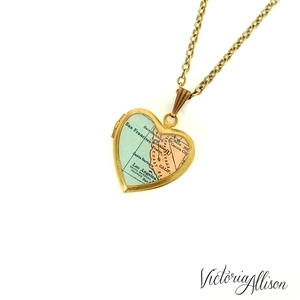 Represent your home state or special place with this sweet little California map locket necklace! 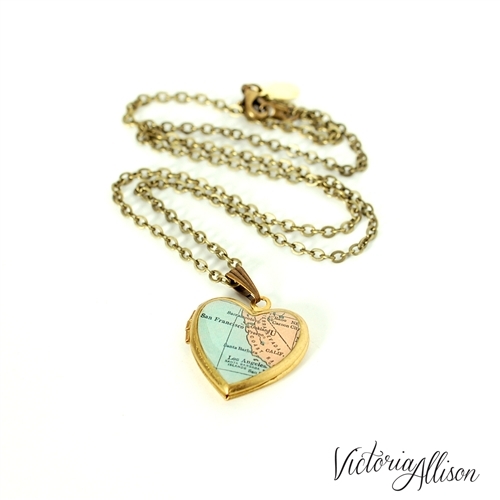 This California coast map heart locket necklace features a 7/8-inch (2.25cm) vintage brass heart shaped locket. 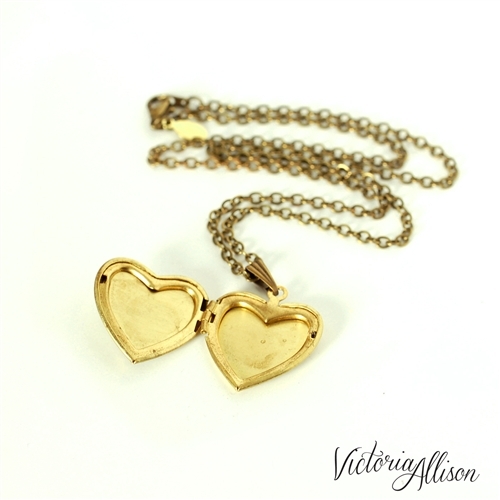 Please be aware that these lockets may show some signs age, and will vary from one locket to the next. The front of the locket features a map of the coast of California (re-printed from one of my antique atlases) from Sacramento down to Los Angeles. I have coated the map with jeweler's resin to make it water resistant - but it is not considered waterproof. 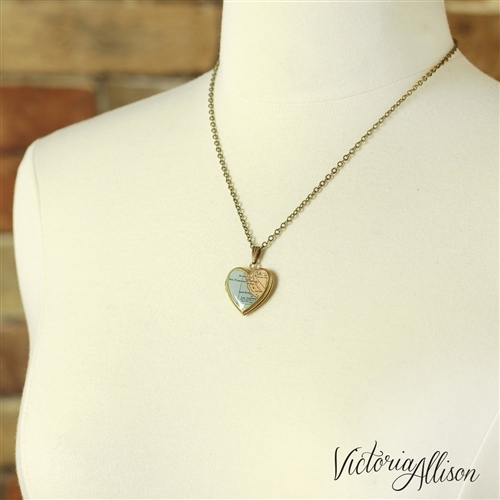 Please do not swim, bathe, etc, while wearing this piece.